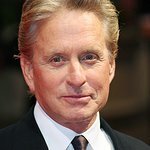 Michael Douglas made an emotional appearance via video at the massive Stand Up To Cancer television event on September 10. “Cancer doesn’t care how many Oscars you’ve won or how many tough guys you’ve played,” said the actor, who is currently battling stage 4 throat cancer. A huge number of stars took part in the event – simulcast live and commercial-free on ABC, CBS, FOX, NBC, Bio, Discovery Health, E!, G4, HBO, HBO Latino, MLB Network, mun2, Showtime, Smithsonian Channel, The Style Network, TV One, and VH1 – including Elizabeth Banks, Kathy Bates, Sir Richard Branson, Michael Chiklis, George Clooney, Baron Davis, Emily Deschanel, Bill Hader, Dorothy Hamill, Anne Heche, Cheryl Hines, Randy Jackson, George Karl, Dr. Jon Lapook, Rob Lowe, Jane Lynch, Marlee Matlin, Shareen Mitchell, Olivia Munn, Lisa Niemi, Kelly Osbourne, Gwyneth Paltrow, Matt Passmore, Will Smith, Sam Trammell, Denzel Washington, Aaron Yoo, Renee Zellweger, Kareem Abdul-Jabbar, Tatyana Ali, Dave Annable, Christina Applegate, Lance Armstrong, David Boreanaz, Abigail Breslin, Cindy Crawford, Fran Drescher, Elizabeth Edwards, Donald Faison, Sally Field, Derek Fisher, Michael C. Hall, Alyson Hannigan, Tony Hawk, Jon Heder, Marg Helgenberger, Terrence Howard, Ken Jeong, Rashida Jones, Minka Kelly, Laura Linney, Zachary Levi, Ray Liotta, Seth MacFarlane, Mandy Moore, Apolo Anton Ohno, Dr. Mehmet Oz, Jim Parsons, Aubrey Plaza, Dr. Ana Maria Polo, Yarel Ramos, Naya Rivera, Robin Roberts, Seth Rogen, The Simpsons, Eric Stonestreet, Marcia Strassman, Alison Sweeney, Maura Tierney, Gabrielle Union, Sofia Vassilieva, Sofia Vergara, Marissa Jaret Winokur, Reese Witherspoon and Ethan Zohn. Hosted by Katie Couric, Diane Sawyer and Brian Williams, the event featured a plethora of live performances from Billie Joe Armstrong of Green Day, Neil Diamond, U2's The Edge, Delta Goodrem, Herbie Hancock, Kris Kristofferson, Lady Antebellum, Leona Lewis, Orianthi, Ann Wilson and Nancy Wilson of Heart, Natasha Bedingfield, Martina McBride, Aaron Neville, Dave Stewart and Stevie Wonder. LookToTheStars.org will bring you updates from the show as it comes to hand.